Fetal distress is a general term that means the fetus’ health is in jeopardy. It can be caused by any number of problems with the health of the mother or the fetus and can lead to serious injury or death of the fetus if it is not caught and treated in a timely fashion. Fetal distress can occur during labour and delivery, or it can occur before labour has commenced. There are several symptoms and signs that you and your doctor should be watching for during your pregnancy. Cramps, bleeding or spotting should always be reported immediately to your doctor. These symptoms may be a sign of miscarriage earlier in your pregnancy or may be a sign of placental abruption, which can result in your baby not receiving enough oxygen. near the end of your pregnancy, it will have less room to move around and its movements may weaken or decrease in frequency as a result. Your doctor or midwife should monitor your weight gain throughout your pregnancy. While there is no correct amount of weight to gain during pregnancy, gaining too little or too much weight may be a sign of fetal distress. 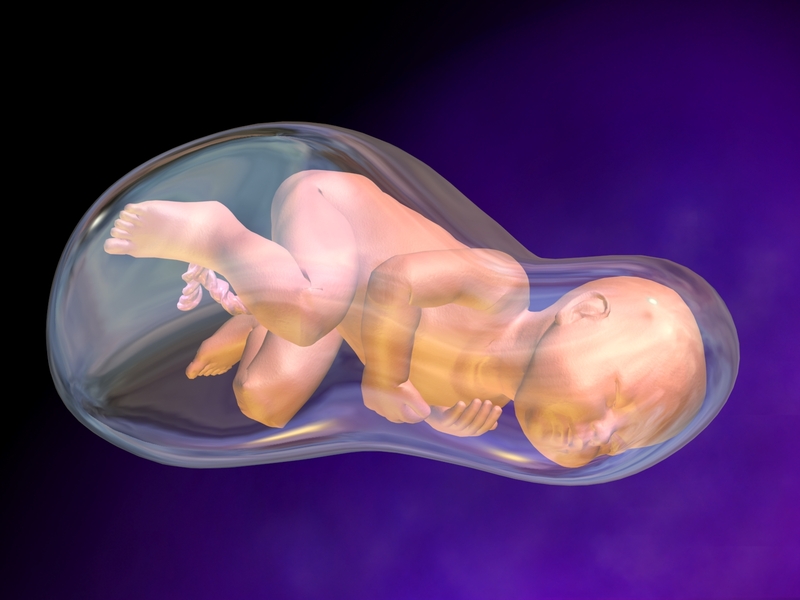 A baby that is not growing may not be receiving the nutrients it needs. A baby that grows too big may be an indication that the mother is suffering from gestational diabetes. Your doctor should monitor your blood pressure regularly while you are pregnant. High blood-pressure during your pregnancy may indicate a condition called preeclampsia, which can cause fetal distress. If your water breaks early, this may indicate that the fetus is in distress. Any time before 37 weeks of gestation is considered early and your baby may require help breathing if he is born before this time. Your doctor can monitor a fetal heart rate directly, which will give a fairly accurate picture of the baby’s general health. If you have any risk factors that concern your doctors, they will likely monitor your baby’s heart rate throughout your labour and delivery. A decrease in the fetal heart rate may cause your doctor to proceed with an emergency cesarean section or other emergency techniques for delivering your baby quickly. Your health-care professionals are responsible for monitoring you and your fetus for signs and symptoms of distress. If you are concerned that your doctor or midwife failed in this responsibility, contact a medical malpractice lawyer today.